About the Temple:The term Kandariya meaning "the Great God of the Cave". The temple of Kandariya Mahadev is the largest and most graceful Hindu temple at Khajuraho in Madhya Pradesh. The temple is dedicated to Lord Shiva in the form of a linga. The history of the temple dates back to the 11th century. Kandariya Mahadev temple was constructed in 1030 AD by King Vidhyadhara of Chandela dynasty. The temple is a five part structure with an ardhamandapa, mandapa, a mahamandapa supported with pillars, the garbagriha and the pradakshina path around it. The temple entrance is decorated with an archway which is a finely carved garland sculpted out of a single stone. Inside the temple, there are three mandapas or halls, which successively rise in height and width. A small chamber is dedicated to Lord Shiva, another chamber is dedicated to Goddess Parvati. The central sanctum has a Shiva linga which is made of marble. 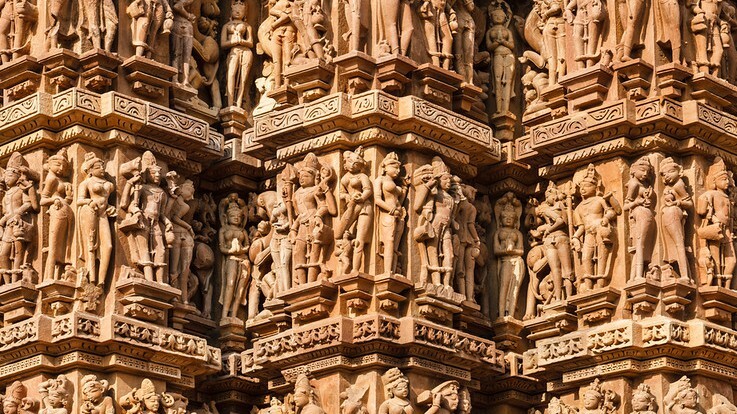 The temple halls depict elaborately carved sculptures of gods and goddesses, musicians and apsaras. The temple has more than 800 images and most of them are over 3 ft tall. These images are carved around the temple in bands. Temple legend and Temple History:Kandariya Mahadev temple is constructed from sandstone and granite. The temple is spread over an area of 6,500 sq.ft. The temple stands 117 ft tall. The outer appearance of the temple resembles to that of Mount Kailash, which is a main abode of Lord Shiva. Inside the temple idols of Lord Shiva, holding a trident and snake, with the deities of Vishnu and Brahma can be seen. King Vidhyadhara, also known as Bida is credited with building the Kaṇḍāriyā Mahādeva Temple. He was a great ruler who fought Muhammad of Ghazni in the first offensive launched by Ghazni in 1019. This battle was not decisive and hence Ghazni returned back to his country. In 1022, Ghazni again waged war against king Vidhyadhara. He attacked the fort of Kalinjar but he couldn’t siege the fort. Later, Ghazni and Vidhyadhara called a truce and parted by exchanging gifts. King Vidhyadhara celebrated his success over Ghazni and other invaders by building the Kaṇḍariya Mahadeva temple which was dedicated to his family deity Lord Shiva.  Festivals, Pujas and Celebrations:The festival of Maha Shivratri is celebrated on a large scale. Devotees throng Kandariya Mahadev temple to have a glimpse of its decorated magnificence during Maha Shivratri which marks the alliance of Lord Shiva and Goddess Parvati. By Road: Khajuraho town is very well connected by road to other major cities. 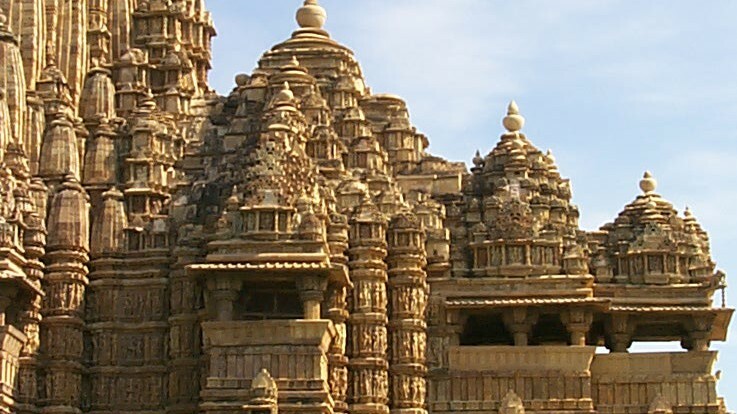 By Train: The nearest railway station is Khajuraho which is 9 km away from the temple. By Air: The nearby airport is Khajuraho airport which is 10 km away from the temple.